We had the privilege to sit down and chat with one of the leaders of the media and tech world, Angela Priestley, CEO of Women’s Agenda magazine and an entrepreneurial leader for women in tech. We found out how it all began and what’s next for the future of diversity in tech. From a young age, Angela knew she wanted to be in media but becoming an entrepreneur was something less than expected. Looking back, it’s easy to connect the dots between Angela’s media and startup ambitions. At the young age of ten, Angela started her own local magazine print called ‘What’s New’. It featured stories gathered from around her neighbourhood. “It seemed natural to do. It was interesting to me because I’ve always had that entrepreneurial bug, although maybe at that time I wasn’t articulating it. From Print to Publisher, and everything in between. Two newborns, one huge life change. When she was on maternity leave with her second child the opportunity arose to acquire Women’s Agenda from Private Media. Angela didn’t hesitate and began publishing when her newborn was only six weeks old. Don’t wait for an invitation, startup now! Celebrating the leaders behind closed doors. With the Women’s Agenda Leadership Awards now in its fifth year, Angela says the program has evolved quite a bit and in particular shifting it’s focus to exposing emerging leaders: “When we first launched, we wanted to look at incorporating an awards program that would recognise women across different professions, who were just doing really great things in their leadership. We have since moved to trying to identify emerging leaders, because I think that there is a lot out there now recognising women who have already been recognised – women who already have a great social network and a great professional profile – which is wonderful. These women completely deserve it but we are now looking at how we can go expose that one level down. In particular we want to find people who have their heads down, and might be, but not necessarily, juggling other things like a family on the side or going through a really difficult period. We see a lot of women drop out of certain professions or step off the leadership ladder; we want to try and capture those people and say ‘look, we want to celebrate the talent that you have now’. We are super excited for the Women’s Agenda Leadership Awards 2017. Last year BlueChilli’s CIO, Colette Grgic was recognised as an Emerging Leader in Tech. This year Anna Wright, founder of BanjoMaps and alumni of our first SheStarts cohort has been selected as a finalist for the Emerging Entrepreneur of the Year. 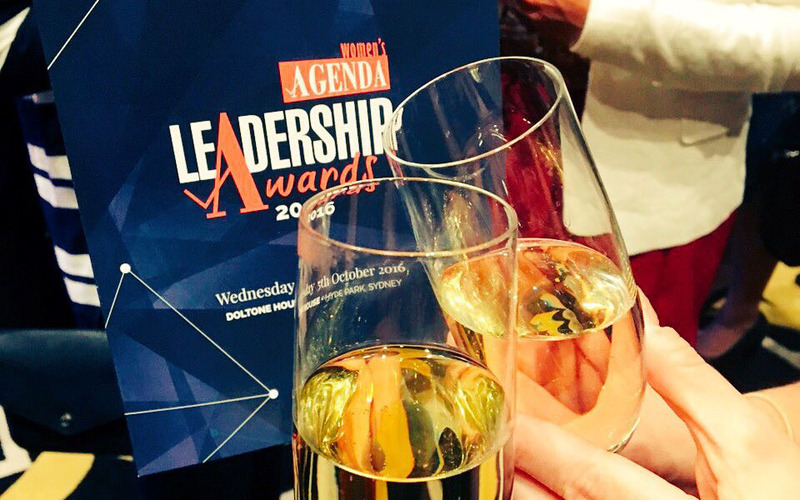 Make sure you head to our Facebook, Twitter or Instagram for all the info and news, and follow us for all the action live from the Women’s Agenda Leadership Awards this Friday.